When The Home Depot asked us to have a look at their latest “tech” for pros, of course, I thought of Barry. 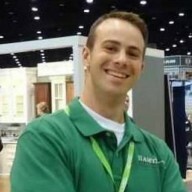 Barry produced a three part series last year on Depot’s FIRST for Pro program. 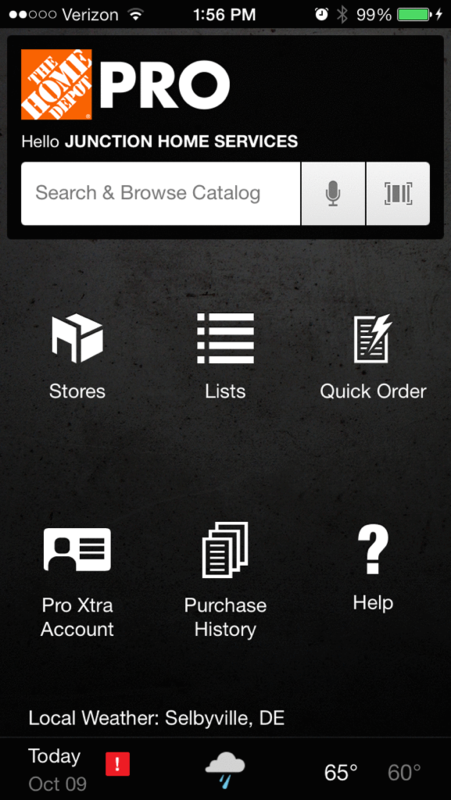 Central, now, to their latest pro offering is a new, just-for-pro The Home Depot Pro App. It is available both for the iPhone and for the Android; here it is on iTunes. 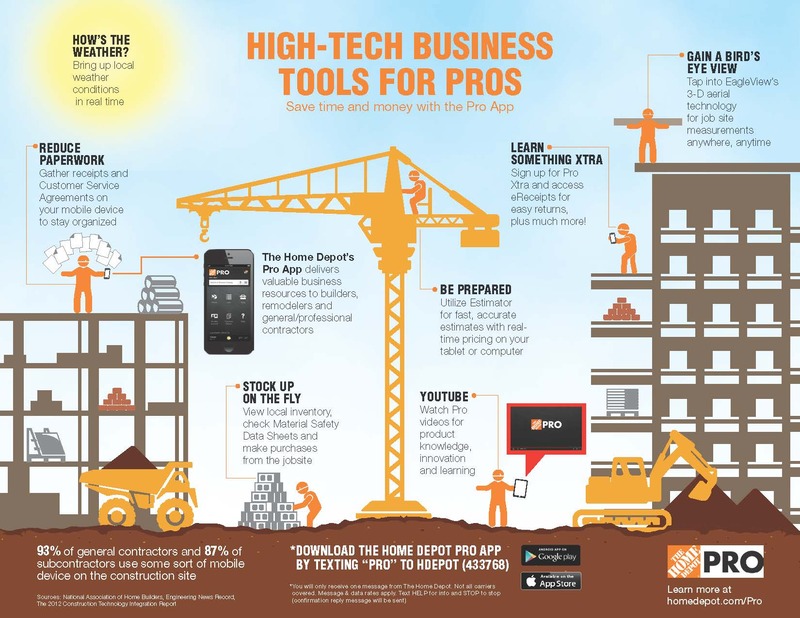 According to The Home Depot, and you can spot this in the infographic above – 93% of general contractors and 87% of subcontractors use some sort of mobile device at their job sites. And further, 58.9% of construction professionals said mobility is important when considering IT solutions. 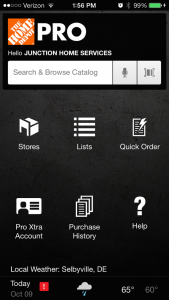 They claim that it (The Home Depot Pro App) makes it easy to take everything you need on the go, from receipts to in-store product availability. Because I really can’t call myself a working pro, I asked another old friend Paul Hamtil to also have a look. Below, both Barry and Paul report. I found myself really liking this new Pro Xtra application from The Home Depot. Images of my receipts plus accompanying photographs and descriptions of each item I had purchased are imported into the app. This comprehensive record of what I bought is very handy for me in billing clients and for tax purposes. The information is presented perfectly in my opinion. Other features of the app include having the ability to choose your store and to see a map of its layout on your smart phone. You can also order products directly from the app, but I did not test out this feature. A scanning function is available as well to discover more about a product (including their associated MSDS) in the store. There’s a little fluff, like the recommended products section which assumes that my buying a 3-inch putty knife, will also put me in the market for a 2-inch and 1-inch putty knife. This is to be expected of course, because this app was not just designed to help the customer but also to track what the customer is buying. I assume this is information that The Depot will use in a variety of ways down the line. I don’t see this aspect of the application as nefarious, however, because being tracked is a trade-off for conveniences and options. While it seemed to take a few days for information to make its way into my account, from what I have seen, The Home Depot is off to a great start with this new app. With the launch of the Home Depot Pro App, The Depot has now placed into the hands of professionals a nice tool to boost productivity. A clean app, that generally sticks to the basics, is a win in my opinion. It will appeal to users of any level of tech savviness. Given that the home improvement industry has plenty of slow technology adapters, the developers were wise to keep it simple. Upon initially installing the app on my iPhone, the first item I took note of was the ability to link with our Pro Xtra account. While not required to use the app, linking with the Pro Xtra account provides the ability to view our transaction history and receipts, sorted by PO or tag which is applied at checkout. This can be handy to have on hand, if referencing for change orders or to find an item to reorder. Another feature of the app is “Lists”. To use this feature, the user will need to log in to a homedepot.com account, and then they can access, create, and modify all of their shopping lists. 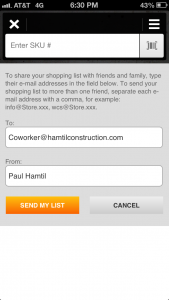 To add items to lists, the app allows the user to search their preset preferred store, or a nearby store location. Once the desired item is located, then the user can adjust the quantity, select a list, and add the item. In my opinion, it’s a handy tool for small list applications, but is much too time consuming to build an extensive list by searching, selecting, adding, and then searching again and again. I can’t imagine this feature replacing a pencil and yellow notepad anytime soon. That said, however, the list feature could be very helpful to prevent communication breakdown. For instance, if a field employee runs out of an item, he/she could simply scan the product barcode with their phone, create a list for the item, and share the list to another employee or manager so they easily know exactly what is being requested. Generally, the app is a portal to search items, inventory, store locations, and even purchase items online. 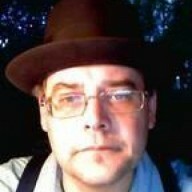 The search features of the app are very robust, and provide several ways to enter info. Users can scan barcodes, enter SKU numbers, use a handy voice activated search, or just enter in keywords. All roads lead to an easy to navigate list with high quality graphics and pricing for the preferred store location. I would have appreciated the ability to add items to lists at this screen, for it would certainly streamline the list making process. 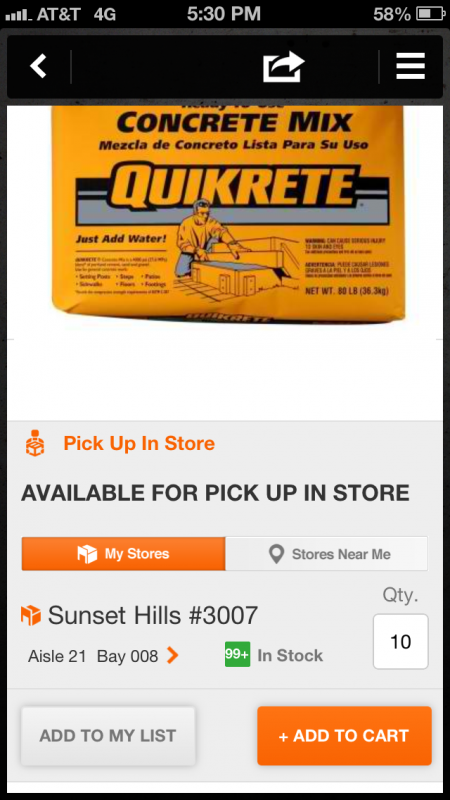 For builders that buy at the Home Depot, this app has many good qualities, and only a few downsides. Somewhere on the app is a calculator, but I have yet to locate it. As a tool which I frequently use while shopping, it would be nice to have easier access to it. Also, for pros who use “bid room” volume discount pricing, there is no provision on the app for that. You’ll still need to use the Pro Desk. Other features of the app include: Customer service agreements on your mobile device to stay organized with less paper lying around your vehicle or the job site. The Pro App can also bring up local weather conditions in real time, so you can be prepared for anything. 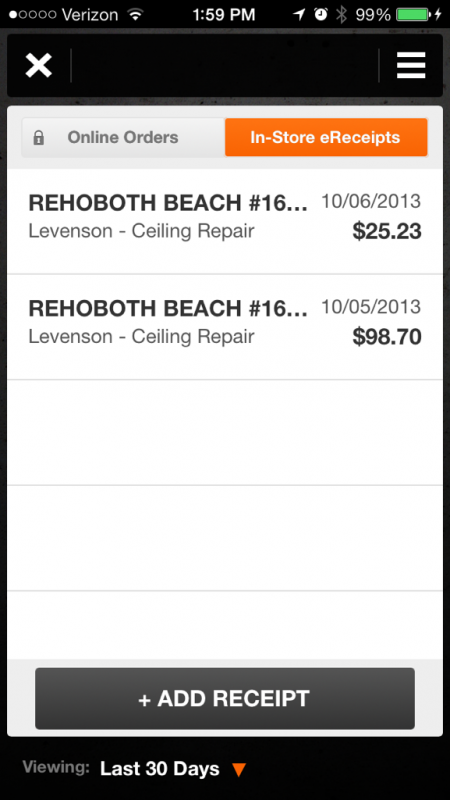 Estimator is a free online and in-store service for generating job estimates based on costs, labor and job size. 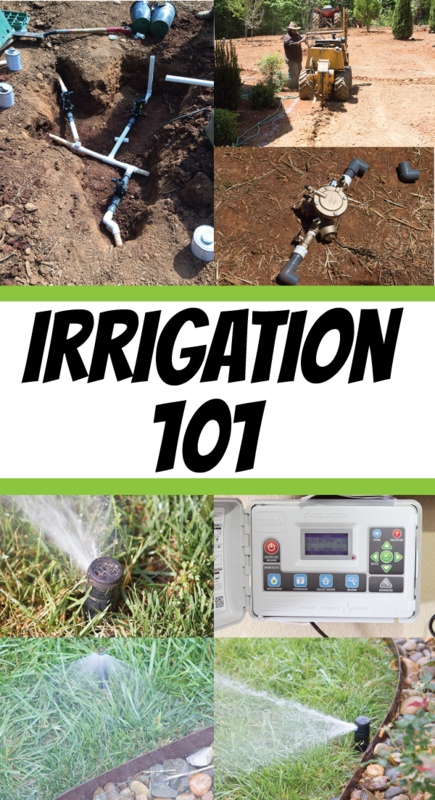 It is available for more than 35 disciplines and is a convenient tool to save money and time on the job site. To learn more about these features check The Home Depot Pro website. Thanks out to Barry and Paul for their input, I hope you find it useful. Download the Pro App on iOS and Android systems or by texting “PRO” to HDepot (433768). 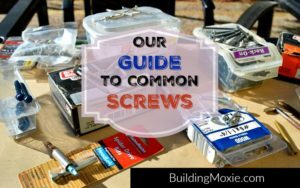 This post was originally sponsored by The Home Depot, while the points presented within are that of Building Moxie and our contributing writers. 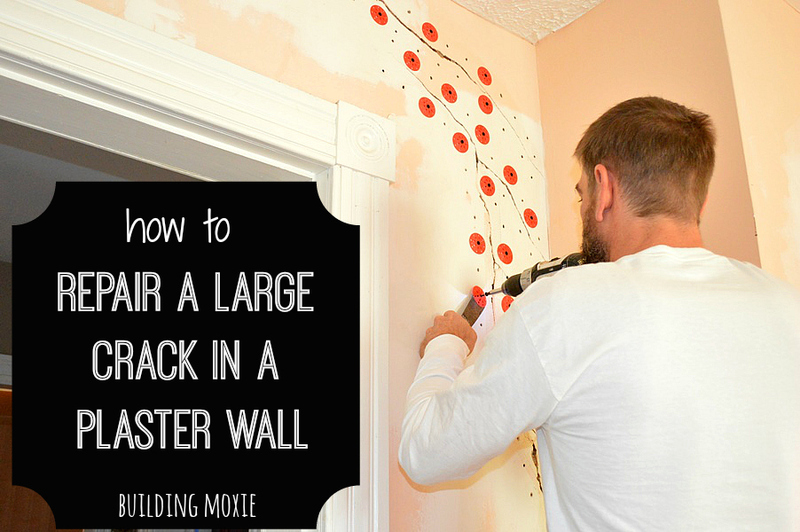 The Home Depot partnered with bloggers such as me for their Pro Technology program. As part of this program, I received compensation for my time. They did not tell me what to purchase or what to say about any product mentioned in these posts. The Home Depot believes that consumers and bloggers are free to form their own opinions and share them in their own words. The Home Depot’s policies align with WOMMA Ethics Code, FTC guidelines and social media engagement recommendations.